Military experts say North Korea does not have the ability or the desire to attack United States warplanes near the Korean Peninsula. However, North Korea's foreign minister said the North had "every right" to shoot down American warplanes even outside of its airspace. Foreign Minister Ri Yong Ho spoke to reporters in New York on Monday after a meeting at the United Nations. Ri's comment followed Saturday's flight of American B-1B bombers and fighter jets in international airspace to the line separating North and South Korea. Hours after the flight, the North Korean government released a propaganda video. It showed U.S. warplanes and an aircraft carrier being attacked. The video also showed a missile being fired from a mobile launcher. But, the video was done using very simple computer animation. Hong Min is an analyst with the Korea Institute for National Reunification. He said the video was an effort to show that North Korea could strike back against U.S. forces. Can North Korea Match US Firepower? North Korea, however, has fired on American aircrafts before. In 1969, North Korea's fighters shot down an American surveillance plane killing all 31 aboard. The last time North Korea fired on a U.S. aircraft was in 1994. That year, a U.S. Army helicopter was shot down near the heavily militarized border killing one of the pilots. On Tuesday, South Korean media reported that North Korea has moved warplanes and strengthened defenses on its eastern coast. But the Associated Press reports that it is unclear if North Korea was able to detect the bomber flight on Saturday with its radar. 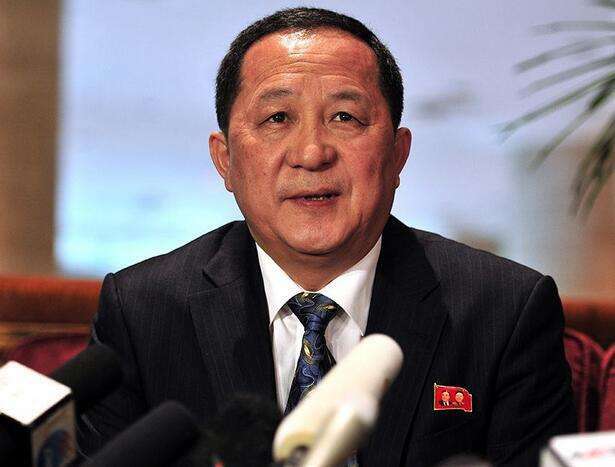 Moon Seong Mook, a former South Korean military official, is a senior analyst for the Seoul-based Korea Research Institute for National Strategy. He said North Korea does not have the military capability to match Ri's words. North Korea's aging MiG fighters cannot match the much more powerful U.S. fighters. And its surface-to-air missiles are unproven against American aircraft operating from afar, Moon said. Du Hyeongn Cha is a visiting scholar at the Asan Institute for Policy Studies in Seoul. He told AP that, "The most obvious reason Ri made those comments was because North Korea simply can't tolerate such high-profile insults to its supreme leadership." He said the foreign minister's comments also provide an opportunity for China and Russia to again call for limits on military exercises in the area. The two countries would like North Korea to freeze weapons tests in return for a suspension of U.S.-South Korean military exercises. North Korea has called the exercises preparation for an attack. The Russian foreign minister yesterday cancelled his visit to Washington. The ceasefire resolution calls for the release of all prisoners of war. The airplane lifted from the aircraft carrier. The guerrillas shot down one aeroplane and captured the pilot. 1.The two countries would like North Korea to freeze weapons tests in return for a suspension of U.S.-South Korean military exercises. The deal offers an increase in policy value in return for giving up guarantees. I'll sell at a discount in return for a speedy sale. 2.He said the video was an effort to show that North Korea could strike back against U.S. forces. They threatened to strike back against the UN for the bombing raids. We will then have a powerful fleet with which to strike back against them.